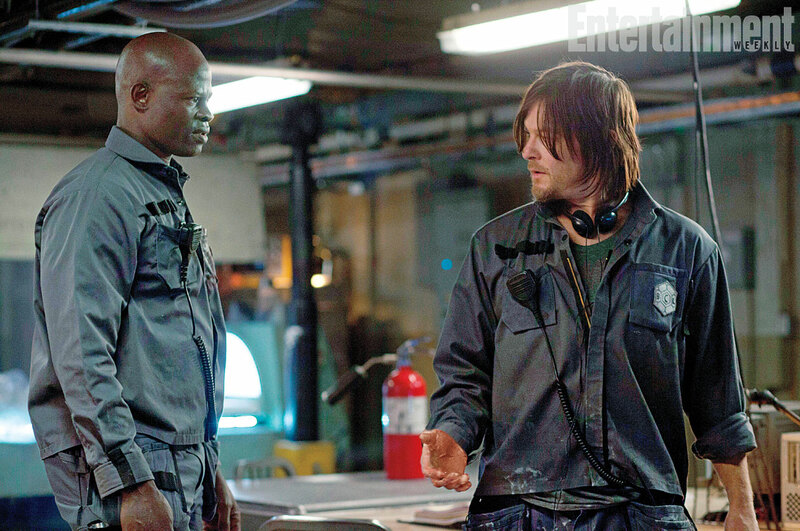 Here’s the first official pic from the upcoming film AIR, a sci-fi thriller starring Djimon Hounsou and everyone’s favorite crossbow wielding walker slayer, Norman Reedus. 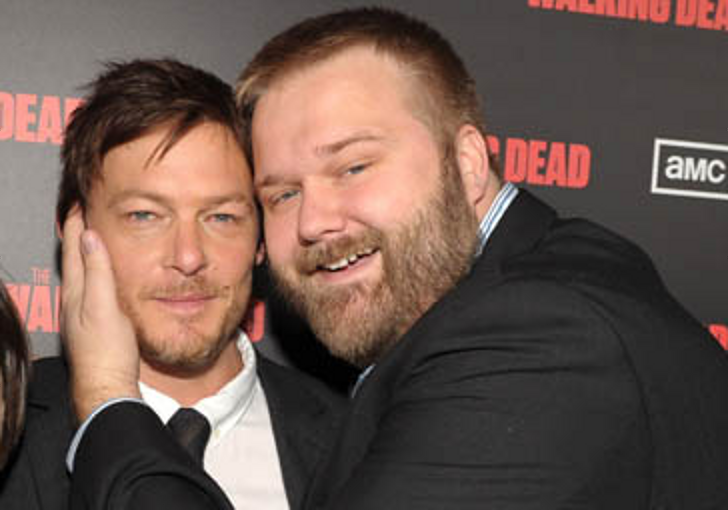 Reedus talked to Entertainment Weekly about the film, which is set for a spring 2015 opening and was produced by The Walking Dead creator Robert Kirkman. “It’s a psychological thriller. It’s a story of two people who are pretty much the last people on the planet. They run a facility that has all the best of the best that’s being held in sleep tanks that will be re-awakened to populate the earth, and one of them thinks of their job as the scientist and the other thinks more of their job as a janitor. And the position is kind of in between both of those. But one of them discovers that the other has a secret, he’s holding onto the secret and that secret is that he’s trying to keep a certain person alive. And through the character I play, his past is such a dark one, and the guilt of what he’s done weighs so heavy on him that he sort of substitutes his real family for this other person in his mind, and he sort of looks at him as a brother in this way that’s a little too close for comfort. And what happens is he ends up forcing the action to take place against the other person’s will. So it becomes this thriller, this mindf— of a movie of convincing this other guy to do something he doesn’t want to do,” Reedus said. Reedus said one of the things he loves about the film is its claustrophobic, tense feel. ‘It’s a very claustrophobic feel just shooting it. There are moments in it that are…they’re terrifying and you feel very alone and you feel very f—ed over on many different levels by other people, and you know, by the world as a whole, by the people that put us there. It has these sad elements to it, but it also has these uplifting storylines as well. 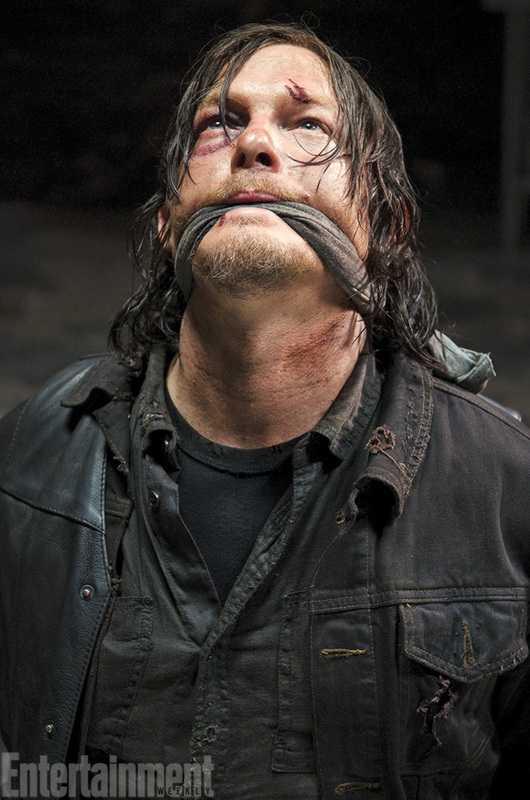 One half is going down the rabbit hole, and the other half is climbing back up it,” Reedus said.